Frye as book Nazi, here. Two new books on Frye, Northrop Frye in Context by Diane Dubois (Cambridge Scholars Publishing 2012), here, and The Illustrated Frye by Garden Uthark, at Smashwords, here. Terry Eagleton–“that Marxist goof from Linacre College”–pontificates on Frye and others, here, in The Daily Beast. Does Eagleton have any idea of the meaning of the word ‘authoritarian’? And how can we trust someone who describes Frederic Jameson as “a magnificent stylist”? 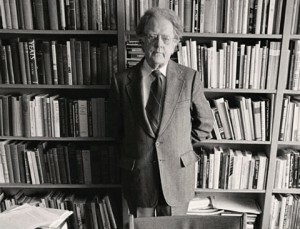 Nonetheless, Frye made the list of his five favorite works of criticism. Actually six, since he slips in Kermode’s The Sense of an Ending in the preamble. This entry was posted in Uncategorized on June 18, 2012 by Joseph Adamson.